Leveraging technology to drive positive impact for businesses and people’s lives is what inspires Shirley. In her leadership roles at Microsoft, and throughout her 30+ year career in the industry, she has prioritized harnessing the power of technology to drive meaningful enterprise results. She does this by building and leading top performing, diverse and widely distributed sales teams who work with partners and customers to deliver intelligent systems and solutions. This is where Shirley thrives and in doing so drives a positive impact on the customer, partner and sales team satisfaction. Most recently this includes working with Microsoft partners to successfully bring digital business transformation to customers across the Asia region by delivering solutions built on Azure cloud services that collect and analyze data to deliver business insights and drive intelligent actions that have meaningful business and market impact. In her ten years with Microsoft Shirley has held multiple leadership positions managing partner and customer engagement teams. Before Microsoft, Shirley co-founded a successful retail solutions start-up where she served as VP WW Sales & Business Development for six years. Preceding that Shirley held a variety of leadership positions with Fujitsu across geographies including the UK, Caribbean, and the Americas. Shirley Strachan is a passionate leader, a raving fan of technology, sales, business development, and strategy, who has also relished the opportunity to experience a multitude of cultures having lived and worked in numerous geographies during her career. As CEO, Joshua oversees the strategic direction, growth, and management of Willow. He is passionate about culture, people and growing a global company that has a positive impact on our world. Over the past 15 years, Joshua has founded and led three successful businesses utilizing technology in the property and infrastructure industry. With this deep experience in property and infrastructure, he established Willow as a world-leading technology company, creating a new category – Digital Twins for the Built World. Joshua has built a reputation for his strong leadership and innovation with some of the largest and most admired owners of infrastructure and real estate including the Durst Organisation and Macquarie. He believes in building a global network of strong partners and has spearheaded partnerships with leading organizations such as Microsoft, ThyssenKrupp, and Strukton Rail. He has overseen the development of over $10B of projects through Design and Construction in a senior leadership capacity and has partnered with pre-eminent architects, including KPF, Foster & Partners, Perkins Will, and Grimshaw. In Australia, he has worked on major projects with companies including Investa, GPT, Mirvac, Grocon, Brookfield, Multiplex, John Holland, CPB, Pontiac, Star, and NSW Government. Internet of Things (IoT) Technology & Devices Innovation Principle at Telstra, with an experienced background across Consumer, Small Business and Enterprise. Lead teams accountable for Internet of Things (IoT) Innovation, Mobiles, IPTV and Fixed across both manufacturers and operators. Both an in-depth technical understanding of engineering, the TV and Telecoms industry with a breadth of experience in a range of disciplines; product development and management, programme management, finance, venture capital, business development, product marketing and including building teams with multiple direct reports. Extensive global knowledge in Europe, North America, Middle East, Africa, Asia & Australasia, having lived in five continents and accustomed to leading diverse teams within multiple cultures. Proven people leadership skills, driving change and experience interfacing and presenting to C-level, tier 1 partners, customers, media and suppliers. Known for being extremely conscientious, reliable and driven with a career focus of building a strong breadth of experience to target a director level position as innovation converges across all aspects of life and business. Veli-Matti is the Chief Technology Officer for Insight Enterprises, APAC. In his role, Veli sets the strategic technology direction for the organization in terms of IP creation, capability and go-to-market development for emerging technologies and new offerings in the region. His responsibilities include staying connected with Insight's global teams, collaborating across regions, building and empowering an innovative culture, and accelerating our key business partnerships such as Microsoft. Veli is a frequent speaker at local and global industry conferences and has authored three books on Microsoft technology. Srini Chandrasekar is Director, Azure Global Engineering. In this role, he is responsible for creating differentiated value on Microsoft Azure to enable customers and partners to build digital agriculture solutions. 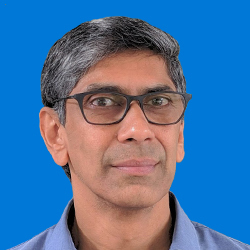 Prior to joining Microsoft 9 years ago, Srini was the Chief Operating Officer of Aztecsoft, responsible for their business and operations in India. Before that Srini was the Sr. Vice President of Products at SumTotal Systems in Seattle, where he integrated diverse product suites of Click2learn and Docent (which merged to form SumTotal Systems). In his tenure at Click2learn, he was the CTO/Executive VP of Products & Strategy where he created the e-learning industry's first integrated suite offering. Srini also co-founded Intelliprep Technologies which was subsequently acquired by Click2learn. Prior to that, he spent several years at Microsoft working on technologies like Directory Synchronization, Color Management, Active Directory, LDAP, and printer drivers. Since 1996, Mike has been developing airborne intelligence systems for applications in the earth sciences, defense, and agronomy fields. As an engineer at the Scripps Institution of Oceanography, he developed airborne imaging and radar systems to study ocean/atmosphere interactions in support of global climate research. As the Director of Electro-Optic Systems and Manager of Mission Systems at General Atomics Aeronautical Systems, he oversaw the development of intelligence payloads for a number of unmanned military aircraft including the Predator, Reaper, Gray Eagle, and Avenger drones. He is currently the CEO and co-founder of SLANTRANGE, Inc., which provides new layers of crop health information to farmers and agronomists with its airborne remote sensing systems and analytics tools. Mike has a B.S. Mechanical Engineering from the University of California, San Diego and an MBA from Georgetown University. Stephen Borg is a solutions-driven strategy development director specializing in identifying and creating opportunities in greenfield markets. His background is in capability development and research-led strategy with a particular passion for lateral problem solving and creating tailored results to satisfy partners and their customers. With key skills in strategy and design-led thinking, he has helped multinational companies expand markets, explore and pioneer new niches and introduce game-changing technology into competitive spaces. His expertise spans technology and digital media, retail environments, customer experience, innovation, and building business partnerships. Adeline Hsieh is a Principle Solution Specialist, IoT for Microsoft. In this role, Adeline helps Microsoft’s customers and partners across South East Asia, New Zealand, Australia, and Taiwan to leverage the power of IoT to transform their businesses. Adeline has held a number of roles in Microsoft, from Senior Channel Account Executives, Devices OEM, and OEM account manager for Windows phone. She worked with partners to grow their business together with Microsoft. A native of Taiwanese, Patrick has an MSc Degree in Analysis, Design, and Management of Information Systems from London School of Economics and Political Science, University of London. Jeff is a Director in EY’s Data & Analytics team where he leads the IoT Analytics practice and serves as EY’s APAC Advisory IoT Leader. He has over 20 years of experience leading emerging technology architecture and delivery with proven leadership, problem-solving, analytical, communication, and organizational skills. Jeff works regularly with transport, agriculture, government and utilities (energy and water), helping the drive adoption and integration of digital technologies. Dale Rankine is CEO and co-founder of Reekoh, an award-winning, and Gartner-recognised Integration Platform, transforming enterprises by bringing together IoT, emerging technologies, APIs and business applications. He is a well-regarded international speaker, strategist, and mentors on IoT and product-focused technology startups. Dale is an experienced tech entrepreneur and has been part of the Australian digital landscape for over two decades in a multitude of roles. Dale’s deep subject matter knowledge and hands-on technical experience across IoT, cloud, and mobile, and has been central to assisting numerous startups, consumer and enterprise companies in developing new digital products and experiences. Henry is a widely acclaimed presenter on industrial automation and IoT. As Director and General Manager of Omron Oceania – a world leader in IoT, AI, Robotics and automation, Henry shows how companies can transform their business with the latest technologies. Audiences learn how IoT can boost productivity and drive growth. Henry and his team have helped leading international companies with digital transformation, guiding them through the latest technical developments and helps with implementation. His entertaining presentations help to simplify the complex world of analytics, big data, and AI. Henry holds a Master of Business Administration (RMIT University, Melbourne, Australia) and a Bachelor of Engineering (BE) in Industrial Automation (Beijing Institute of Technology, China). He is also a Member of Australian Institute of Company Directors (AICD) and a guest lecturer at Macquarie University. His expert articles on IoT and automation have been featured in market-leading industry publications. Gary has over 18 years’ experience working with data and data analytics; including data administration, solution design and development, through to architecture design, strategic development and delivery. After leaving the military in South Africa, He spent 5 years in the UK, as part of a team developing BMW’s vehicle sales and maintenance systems. From there he has gained experience in the online casino industry working for a company based in the Isle of Man, to developing the apprentice system for the Housing Industry Association in Australia. Gary has also led a team of developers to deliver a regional, platform solution for the NSW Department of Education which finally led him to the Resource sector. He has been with Newcrest for the last 8 years and has gained deep insights into both production processes and the underpinning data that drives productivity. In his current role, Gary is leading a team to deliver Digital solutions and a platform that underpins Newcrest’s digital transformation strategy. By leveraging the latest Digital technologies, advanced analytics and machine learning concepts and methodologies, and partnering with leading AI companies both in Israel and Australia, he has a proven track record for driving the delivery of tangible value for Newcrest. 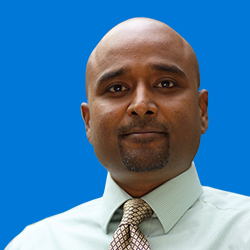 Krishna Mamidipaka is a Principal Product Manager at Microsoft. He works in the Azure Big Data organization, with specific focus on Azure Stream Analytics. In addition to driving the I/O ecosystem and the machine learning based scenarios in Stream Analytics, he is also instrumental in evolving the long term product vision and roadmap. Prior to joining the Stream Analytics team, Krishna was a Product Manager in the Office 365 group and was instrumental in the delivery of several Office 365 offerings such as Project Online, Visio Online, and O365 Planner. Krishna has a Masters Degree in Engineering and an MBA. Krishna lives in Seattle area. Richard is an experienced technologist with over 9 years' experience working with clients across the mining, education, finance and construction industries. His background includes business analysis and data platform roles spanning traditional analytics, cloud technologies, and IoT, with more recent roles focusing on advanced analytics at the enterprise level. Richard's recent experience has been found in the Mining Industry aligning business strategies with technology strategy. He will work with on-site engineers to ensure the technologies, architectures, and approaches such as Microservices, DevOps, IoT, and Machine Learning deliver the intended outcome and value for the business through workshops, architecture advisory or proof-of-concepts. With innovation ripe in these areas, Richard continues to investigate and assess how businesses can best leverage these tools and approaches. Tim has worked in IT for over 20 years across a variety of technical, project, analysis, support and sales orientated roles in both Australia and the UK. Working in small and large organizations has given him exposure to many complex and diverse infrastructures. Over the past 7 years, Tim has been an SME within the Mobile Device Management space and more recently part of a large retailer's Disruptive Technologies Team as a technical architect and strategy resource. While contributing to many different projects including ML, Image recognition and re-identification, his primary focus as technical lead was developing IOT strategies, leading IOT projects and POCs across retail, supply chain, and services. Tim has a real passion for technology innovation and its ever-increasing influence on industry and has created a number of successful thought leadership groups to collaborate and network. Tim is looking forward to helping customers develop IOT strategies and utilize Azure services to unlock critical insights from digitized assets to drive digital transformation. The Project FarmBeats goal is to enable data-driven, digital farming. Data, coupled with the farmer’s knowledge and intuition about their farm, can help increase farm productivity and reduce costs. Getting data from the farm is extremely difficult since there is often no power in the field or Internet on the farms. Project FarmBeats represents several unique solutions to solve these problems using low-cost sensors, drones, and vision and machine learning algorithms. Thank you for attending IoT In Action - Sydney, we hope you enjoyed the experience. See if we have more events scheduled here.